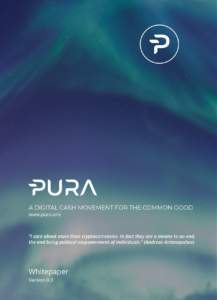 Home » BLOGCHAIN » Pura Coin » PURA Blockchain Goes the World – Will New Zealand Jump the Crypto Train? When it comes to the talk of cryptocurrencies or blockchain in New Zealand, it’s a mixed bag. University of Auckland’s Associate Professor Alex Sims believes that New Zealand has “fallen behind countries” like Australia, the United Kingdom, and Japan. Those in the financial sector say New Zealand lacks clear rules and procedures for setting up cryptocurrency exchanges. Fintech analysts blame New Zealand’s lack of progress due to its political structure. A constitutional monarchy, its parliamentary system of government relies on a “responsible government”. Made up of innumerable ministers, all with differing political interests, the head of state that lives nearly 12,000 miles away. More than a year into Prime Minister Jacinda Ardern’s three-year term, the Labour Party drafted its first tech sector investment guide. “Tech” companies in the guide were merely cloud-based services, audio equipment, and appliances. Much to the chagrin of tech giants already invested in growing New Zealand’s lagging tech economy, the government’s guide makes no mention of FinTech or blockchain development. The departure of Clare Curran, New Zealand’s digital industry minister further impeded the Labour Party’s effort to grapple with disruptive technologies. The move shelved plans to appoint a chief technology officer (CTO). The government made two attempts at recruiting a CTO. The first ended in failure back in January when none of the 60 applicants were deemed fit for the position. The second was publicly announcing that a marketing technology entrepreneur named Derek Handley was in the running. Born in Hong Kong, Handley moved to New Zealand to attend Victoria University in Wellington. He went on to win a number of awards before heading off to New York. However, most were rather popularity contests and many of his latest ventures had been less than successful. People came out of the woodwork to question his credentials which led to withdrawal of the offer. Curran, due to her methods of recruitment, stood down and left the cabinet. To date, no one is yet to fill either position. Despite a lack of government progress, there have long been rumblings under the surface. In October, a report produced by the University of Aukland funded by the New Zealand Law Foundation called for the country to develop a central bank-issued cryptocurrency. It also encouraged the country to join the ranks of others already hosting FinTech hubs. The authors argued that fast-moving technological advances and sensible regulations would address most concerns commonly raised around the technology, including money-laundering – noting that such crimes are just as prevalent with fiat. They went on to recommend trading of cryptocurrencies and guidance for exchanges as to their anti-money laundering/counter-terrorism obligations. Merchants were to get permssion to accept cryptocurrency payments for under $100. It summarized the need for New Zealand to follow regulatory sandboxes like those of the United Kingdom and Australia. At the same time, New Zealand’s regulators were to work alongside FinTech companies. The report resulted in one of 350 government-backed grants being issued to a local crypto wallet and trading platform Vimba (a rebranded version of the former MyCryptoSaver). Over the past two years, the private sector has all but ignored warnings from banks and the Labour Party to steer clear of FinTech. This is most likely due to the freedom they enjoyed over eight years under the previous administration. There was dabbling in bitcoin, cryptocurrencies, and blockchain development. Since 2011, crypto forums have been popping up in nearly every college and university and Blockworks, also granted permission by the previous Administration, went on to host New Zealand’s premier blockchain event in the heart of Auckland’s Wynyard Quarter in October. Microsoft and IBM sponsored the event and more than 350+ world technology leaders attended. A Blockchain Hackfest showcased the versatility of blockchain technology.